How did the Democrats get rolled? 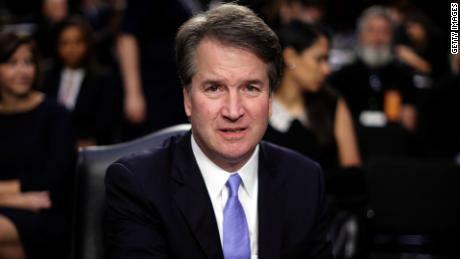 The road to Brett Kavanaugh’s confirmation started during the presidential campaign. Candidate Donald Trump demonstrated his political savvy when he produced a list of potential nominees, most of whom have ties to the Federalist Society. The list was an ostensibly brazen effort to win over conservatives who otherwise might not be able to support him. Regardless of how a Republican felt, Trump had successfully defined his presidency as an avenue toward conservative courts. He delivered on the promise right away when he announced the appointment of Neil Gorsuch to replace Antonin Scalia. The seat had been open for months since Senate Republicans refused to even meet with President Obama’s nominee Merrick Garland. After Obama tried to outsmart the Senate majority by appointing someone who was so centrist and non-ideological that moderate Republicans would have to vote for him, the GOP proved him wrong. They kept the seat warm until a Republican was in the White House. When the Gorsuch appointment came their way, Senate Republicans once again revealed the kind of hardball tactics they are willing to use to achieve victory. In April 2017, Sen. Mitch McConnell, despite years of insisting on the cherished filibuster, allowed his colleagues to throw the procedure out the window when it came to Supreme Court nominations. In doing so, he officially jettisoned the ability of the Senate minority to stifle a Supreme Court nomination if they could not achieve bipartisan support. They confirmed Gorsuch. Kavanaugh’s nomination was initially a shrewd choice as well. Like Gorsuch, he seemed to be a rock-ribbed, partisan Republican who had burnished his credentials as an associate counsel under Kenneth Starr during the investigation of the Clinton White House but also a person with the kind of elite educational and social background that could win the support of Bush Republicans, whose White House he had also worked for. With the midterms around the corner, Republicans were excited about an appointee who, combined with a booming economy, could counteract the president’s miserable approval ratings. Unlike Democrats under Obama, Senate Republicans insisted on a tight timetable for a decision on Kavanaugh’s confirmation. McConnell and other Republicans took to the airwaves to keep talking about the urgency of moving in speedy fashion and blasted any Democrats who asked to slow down the process so that they could take a closer look at Kavanaugh. The timetable was extremely effective in creating political pressure on Democrats to keep moving forward. In its final weeks, The confirmation process exploded with Christine Blasey Ford’s shocking accusation that Kavanaugh had sexually assaulted her in high school. The allegation, along with several others that emerged from other women in the days that followed, rocked the nation. Senate Republicans tried to contain the damage as Americans prepared to hear from Kavanaugh and Ford. The Republicans structured the hearings in a favorable way. 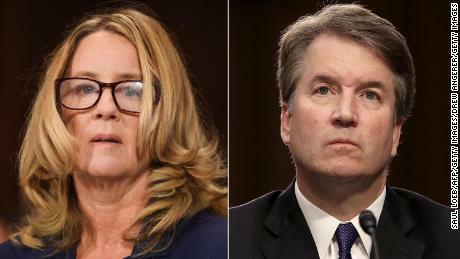 The five-minute questions and answers period didn’t allow for any substantive discussion, there were no additional witnesses called, and the committee majority used a prosecutor who made Ford look like the suspect rather than the victim. Kavanaugh still managed to make a mess of things with testimony filled with bombast and vitriol. He single-handedly instigated serious questions about his character, his temperament and whether he perjured himself. But the Republicans got their political act together before the hearings even ended. Pushing aside the prosecutor, Sen. Lindsey Graham used his time to vanquish any kind of inner John McCain and he let out a loud partisan screed against his opponents for being partisan. Despite Sen. Jeff Flake’s last-minute doubts, he still joined the other Republicans in voting to move the nomination through the Judiciary Committee. Flake’s vote was crucial since it diminished the opportunity for further hearings or witnesses. It kept moving things forward on the artificial timetable while Democrats were fighting the confirmation from a defensive position. Then Flake did what he does best. He offered a moment of high drama, where following an encounter with some brave activists in the elevator, he spoke about his concerns for the future of the Senate and nomination process. He demanded an FBI investigation before the final vote could take place. Although he received a hero’s welcome for bringing sanity to an out-of-control debate, it appears that the investigation was a sham. It was extremely limited in scale and scope, numerous key persons were never interviewed, and it seemed to leave many of the accusations — from other women or about perjury — off the table. In the end, it seems to have been a guise for Republicans to justify their vote. With all the complaints and public criticism of Kavanaugh’s fitness to serve on the Supreme Court, including from many of the nation’s most distinguished law professors and the ABA, Sen. Flake showed his cards by announcing he would still vote “yes.” He gave away the only power he had to actually try to fix this broken process.Sen. Susan Collins ended the day on Friday doing the same, repeating most of the Republican talking points and castigating Democrats for how they had handled the entire process. There was also the vicious public relations effort from the GOP throughout the past few days. Even as they uttered some pleasantries about Ford’s testimony, many Republicans, including President Trump, questioned her credibility. President Trump went even further when he depicted this as some kind of last stand for white men against a vicious and slanderous #MeToo movement. “It’s a very scary time for young men in America,” he said, finally showing some empathy for someone. In other words, he reframed the narrative and turned what would be a crisis for most presidents into a political advantage. The us-against-the-world president transformed this nomination into a rallying cry for the midterms. This was the final argument for his base to come out and vote. Of course, this entire strategy depended on Republican control of the Senate. Legislative politics always comes down to math and from the start Republicans had the numbers in their favor. But what McConnell and his troops showed is that the GOP is willing to use that partisan power in a ruthless and aggressive fashion. They are willing to fight in the most extreme way necessary to win. This was an extremely costly lesson for the Democrats to learn, and it is not the first time they have been schooled. 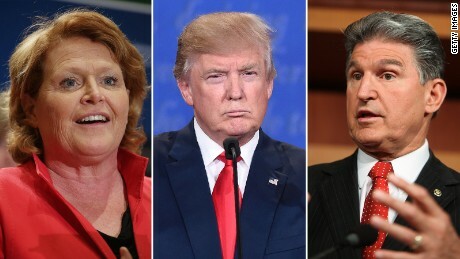 The confirmation could very well be the factor that saves Republican control of the Senate and it cemented a long-term shift in the court that will have severe repercussions on a number of issues ranging from abortion rights to executive power. The confirmation process showed exactly what’s at stake for Democrats in the midterms. If they can’t perform, the next two years will be a brutal slog for the blue parts of our political map.